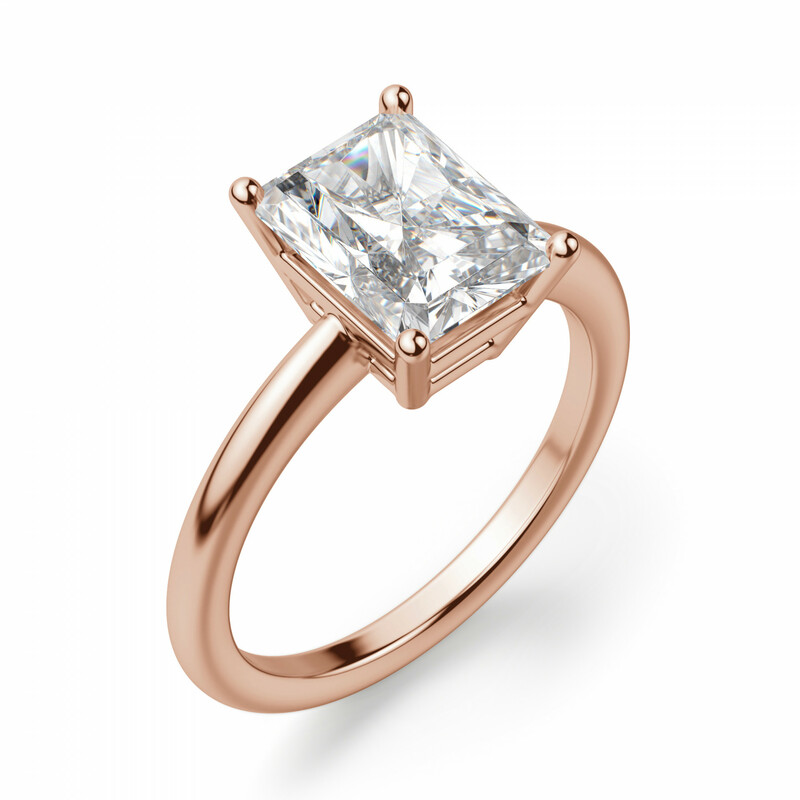 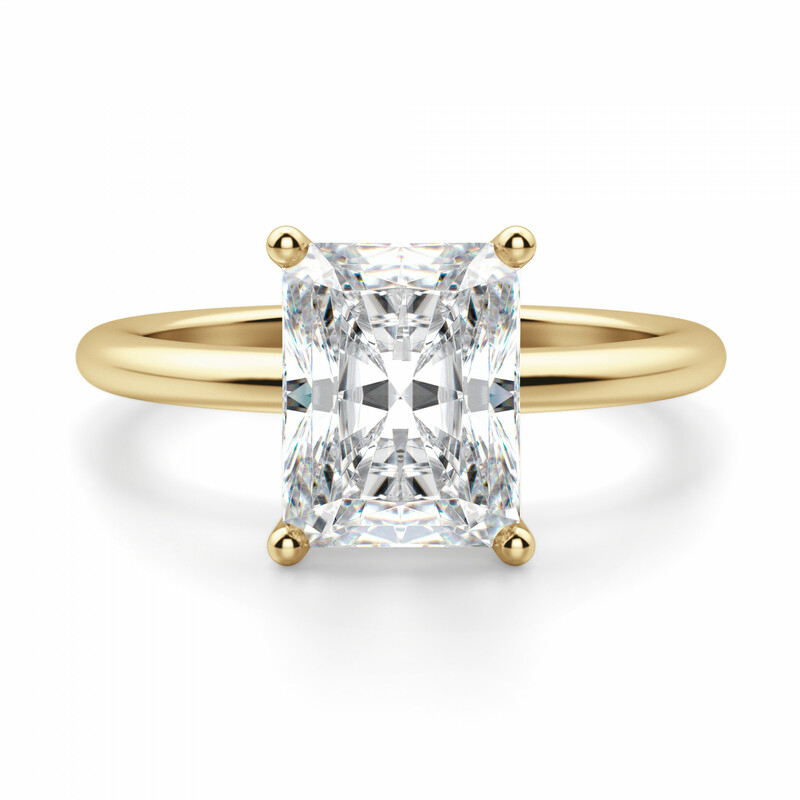 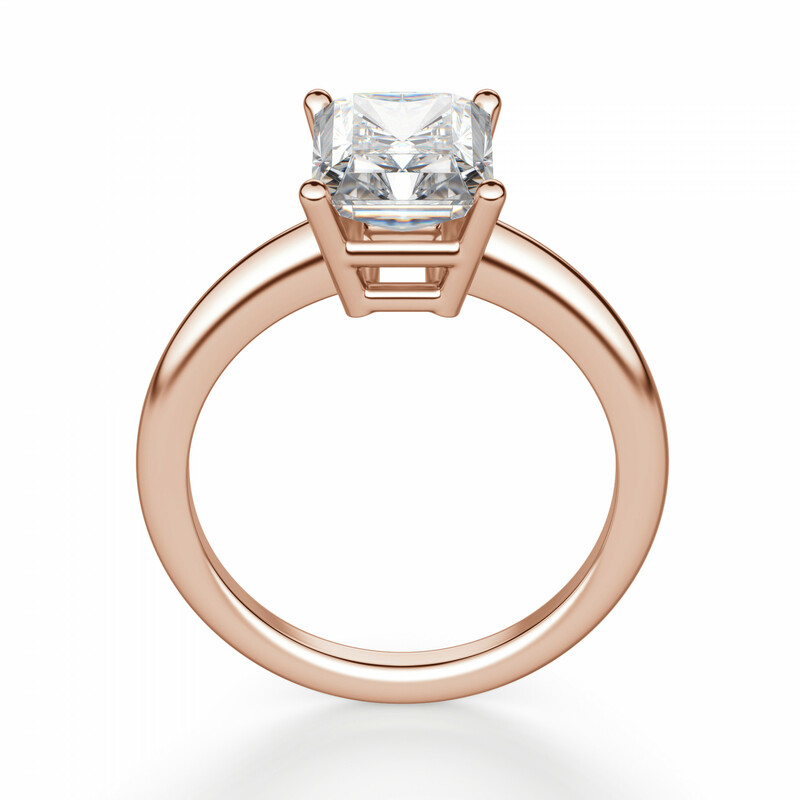 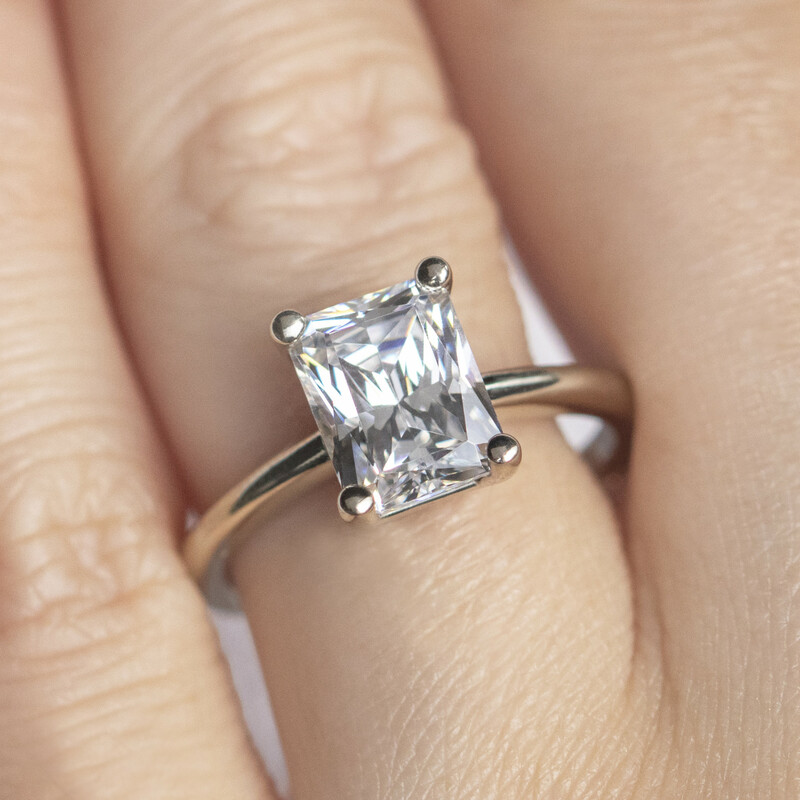 The beauty of this solitaire is in its simplicity. 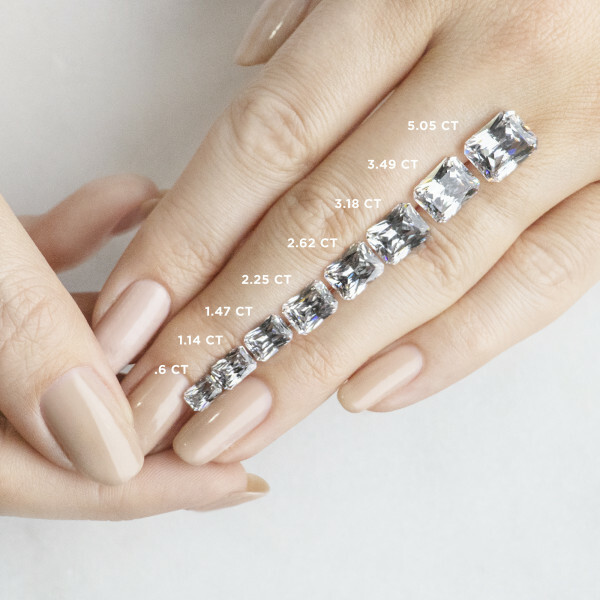 A low-profile basket setting is secure and comfortable, letting the eye-catching Radiant cut Nexus Diamond alternative shine. 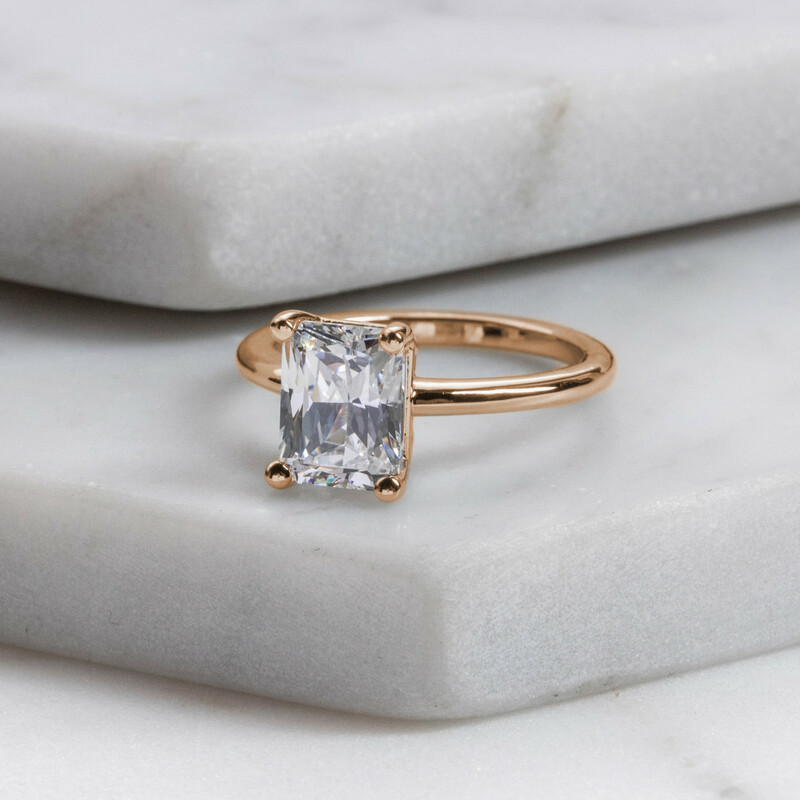 A subtle knife edge shank makes the band appear more dainty without sacrificing its durability. 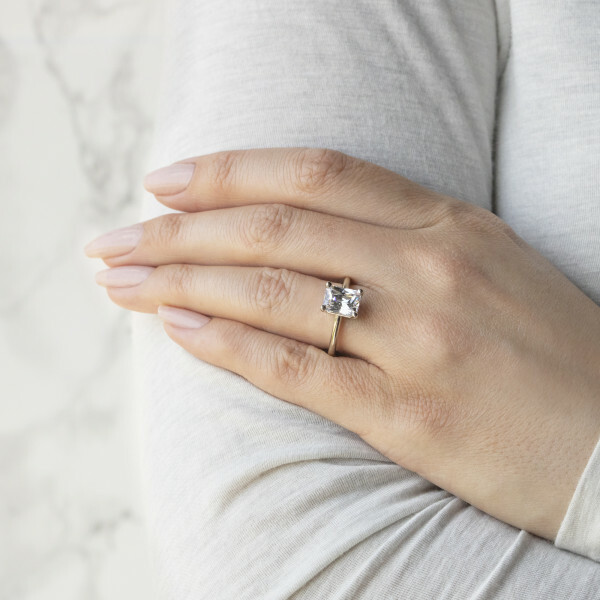 With its sturdy design and elegant elongated stone shape, this timeless ring will be beautiful for a lifetime.